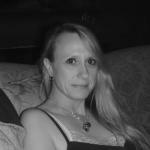 My name is Amber I am an empathetic reader with over 30 years experience. I specialise in love, family, career and making choices! I began my psychic journey in childhood learning the fading art of tea leaf reading from my Romany Great Grandmother. I offer intuitive, honest, compassionate and empowering tarot, oracle and angel card readings. I will NOT judge your situation, or sugar-coat things. I also read auras and use crystals for Chakra, healing and meditations. Feel free to order an email reading if I'm not online and remember to leave a review if you liked your session. Please be aware: My own personal code of ethics prevents me from giving medical, legal or official advice. To begin your Live Psychic Reading with StarzAmber Click Here.
" Truly gifted and patient reader :) No words can even begin to describe how fab she is :) Thank you so much! i'll most definitely recommend her to anyone who's looking for the truth they need to hear!!"